Hello! It’s Courtney from Paperelli. Summer is finally here! Some of my favorite summer memories growing up involved camping with the family. Do you have any camping trips planned this summer? 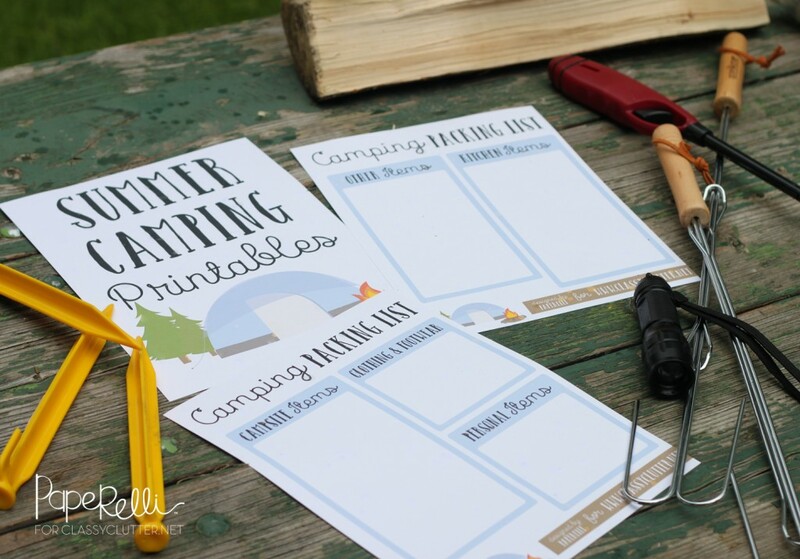 Today I am sharing these free Summer Camping Printables. Sometimes planning for a camping trip can be hard, especially if it’s your first time. I have created a couple Summer Camping Printables to help your camping trip planning stay organized and worry free! First, the Camping Packing List. Since everyone needs different items depending on the camping location and people coming, I decided to keep these lists blank and easy to customize. Organize your packing list into general campsite items, clothing and footwear, personal items, kitchen items and other miscellaneous items. I think the best part of camping is eating and cooking outdoors. Meal planning for camping can be a little bit harder, because you’re away from your oven, microwave, and maybe even electricity. 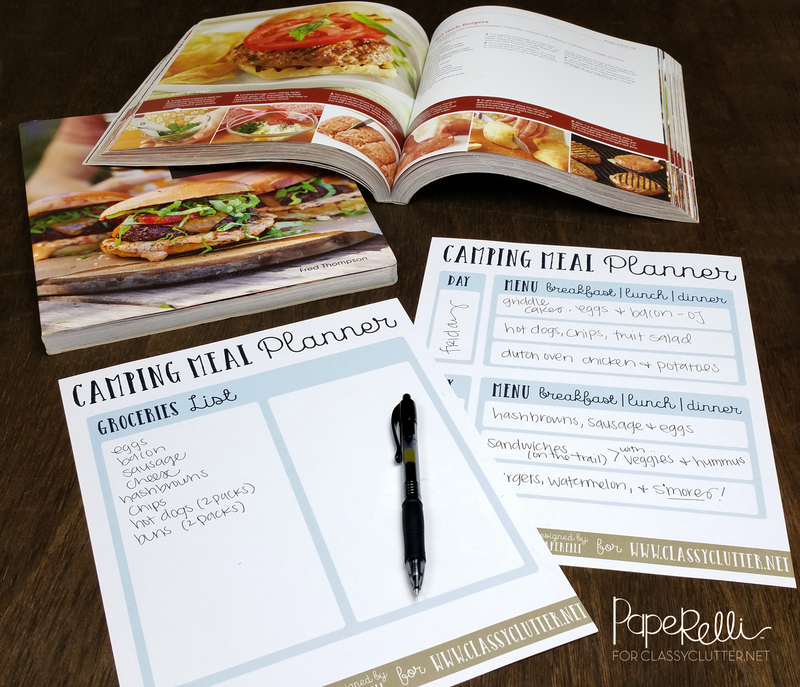 Hopefully you find these Camping Meal Planning Printables helpful while planning for your camping trips this summer! Are you bringing kids along on your camping trip this summer? 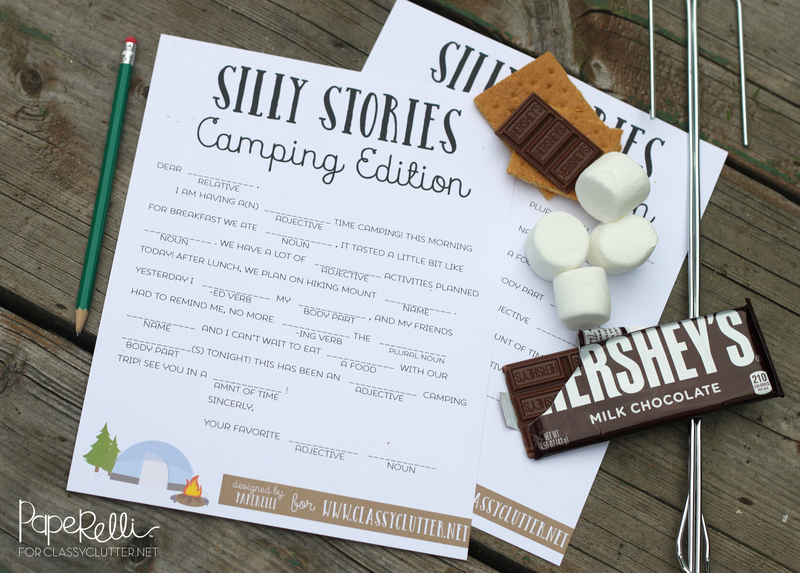 Keep them entertained with these Nature Scavenger Hunt and Silly Stories: Camping Edition Printables. 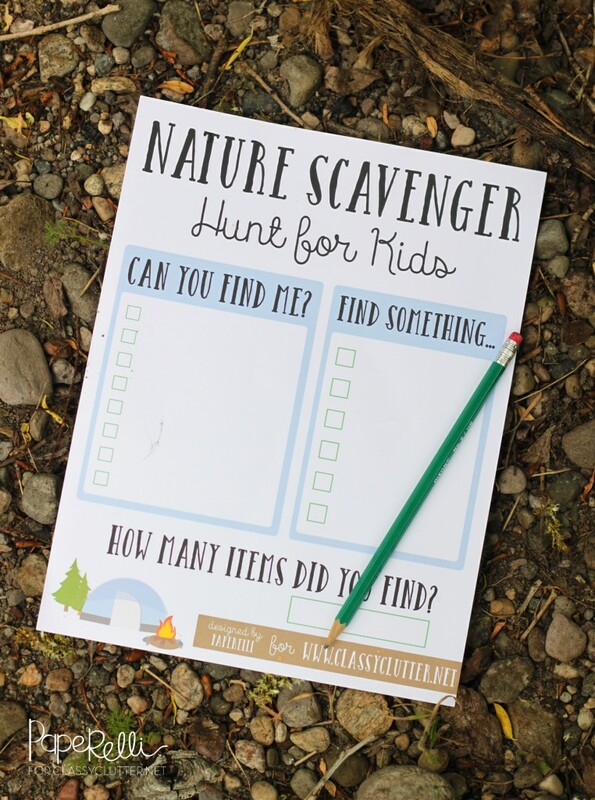 The Nature Scavenger Hunt printables are easy to customize for your surroundings. Camping at the beach? Send the kids hunting for a seashell, seaweed, crab, a boat, etc. Camping in the mountains? Send the kids hunting for some sticks, leaves, pine cones, a flower, etc. Where are you camping this summer? Which printable is your favorite? Thanks for sharing ! These are super cute! Of course you can! Glad you enjoyed!